1151 Bp. 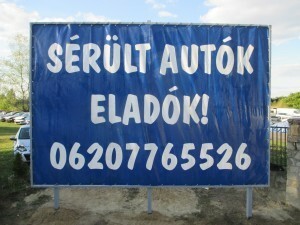 Szántóföld út 3. FORD TRANSIT 2.2 TDCi 260 S Ambiente MOTOR HIBÁS ! ! ! HONDA ACCORD 2.4 Executive Advanced Safety (Automata) Type-S!! RENAULT CLIO Grandtour 1.2 TCe GT EDC EURO6 GT-LINE.AUTOMATA!! SKODA OCTAVIA Combi 4x4 2.0 TDI CR Ambiente DPF SCOUT! !